I'm sure many of you have already heard of Pinterest. I admit, the first thought that crossed my mind when I read their name was that it was probably some highly inappropriate site, so I didn't even bother to click the link to check it out. 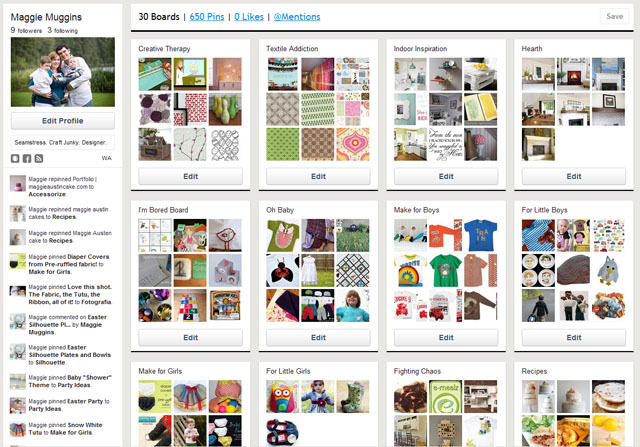 Then, a blog that I read posted about it and I learned what Pinterest was really all about. I was so excited. 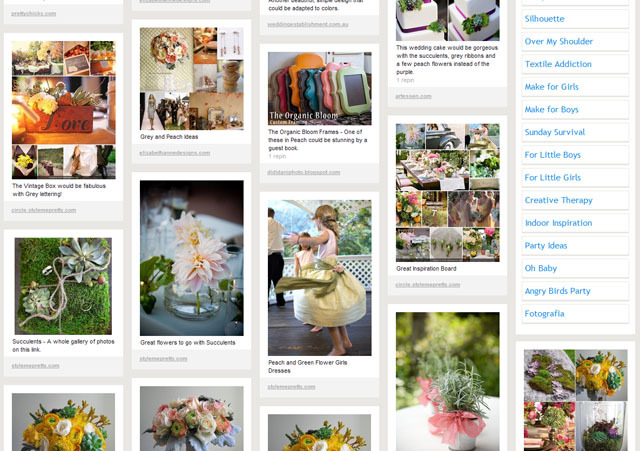 Pinterest is an amazing site for any person that uses "My Favorites" or "Bookmarks" in their browser. No matter whether you are creative or not - this is a site you want to check out. WHY? 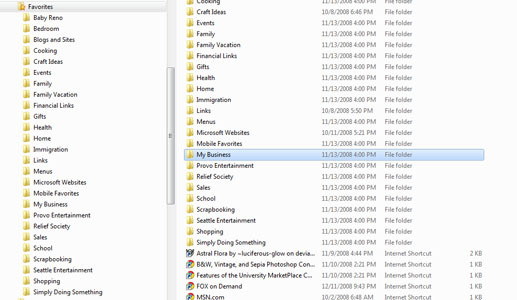 Because it's the visual version of that Bookmarks folder! I confess, there are some sites that don't work for some reason, but that doesn't matter, they aren't usually ones I need a visual reminder for. Not very inspirational right? First you have to find the original post that you liked in a long list and then open it to make sure that's what you were thinking it was. But of course, that's if you remember what you put there in the first place. I actually almost stopped bookmarking altogether, because it seemed to get lost in that folder anyways. It's like clipping from a magazine. I have a photo to go with the link, and don't worry, it still links back to the post where the photo was found. Now, that's what I call INSPIRATION! The best part is it's a whole community of inspiration. You can re-pin photos, you can like them, and you can follow boards, or people. I now have 30 Boards, all with different subjects, that I can turn to anytime for inspiration. And this time it's easy to find and inspirational. I'm currently going through my favorites folder and adding the links to my boards. Want to know my favorite parts though? There is a special "PIN IT" link, you can put in your browser so whatever site you're on you can quickly add it to a board. It's just as easy as bookmarking! When I was over at my friends house the other day, and I couldn't remember the site of a photo I wanted to share with her (of course she doesn't have MY favorites) I was able to pull up my Pinterest, open the board, and show it to her easily! And then, when another friend asked me to help with ideas for a wedding with colors that had her Mother-In-Law stumped - Succulents, Peach, Grey and White. I didn't just send links this time. I put all those links (and the specific photos from them) into their own board! Amazing right? Go ahead, head on over. Get yourself an invitation (and check, mine went to my junk mail). OR You can comment and I'll invite you if it's not working. If you want to follow me (you can choose to only follow a specific board too) - these are my boards HERE. This is exactly what I need since I am trying to make storyboards for my daughter's wedding. The invitation did not work so I am hoping you can refer me. My invitation didn't work either. I don't have a blog so I don't know if I have to have one to get accepted or not. If you could invite me maybe that will help. I have bookmarks all over the place!